One of the greatest safari destinations in Africa, Botswana’s political stability, economic health, and commitment to conservation translate to a country with an embarrassment of riches – of the four-legged and winged kind. Roaming the starkly contrasting environments that include the wetlands of the Okavango, the salt pans of the Kgalagadi, and the vast plains of Chobe National Park reveals hordes of animals of every stripe and size: massive herds of elephants, packs of endangered wild dogs, prides of lions, flocks of flamingos, and reclusive rhinos. Where other African countries are seeing declines in wildlife numbers, Botswana is an oasis of growth and abundance. Its geography and remoteness are one factor that deters poachers — which bedevil places like South Africa and Tanzania — but Botswana’s relatively corruption-free government plays a large part too. Botswana’s “high-cost, low impact” tourism model has been promoted by the government as a means to avoid the pitfalls and negative cultural consequences of mass tourism. 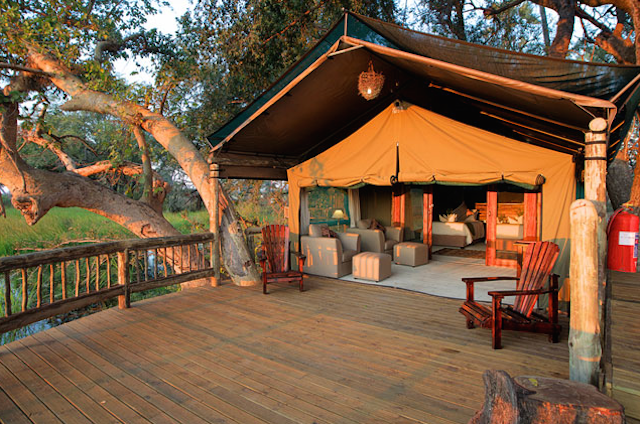 And for those who can afford it, it produces a more intimate form of safari, fostering close encounters with the southern African wilderness without the crowds. A typical safari here involves flying into an isolated bush airport, staying at one of the many swank luxury lodges (or floating hotels), and participating in environmentally conscious game drives. But self-drive safaris are also an option for the confident, and budget conscious. You can rent a 4WD vehicle and criss-cross the Kalahari while camping nearly for free – and rarely seeing another soul. There is no greater feeling of freedom and serenity. The only real centre of urbanization in Botswana is the capital Gaborone, a sleepy city of 230,000 where’s there not much “there” there, aside from a handful of tourist-class hotels, restaurants, shops, and the world’s smallest opera house. The latter was co-founded Alexander McCall Smith, author of the No. 1 Ladies Detective Agency series of novels. Set in Gaborone, the series is probably the city’s biggest claim to fame. Safety: Botswana is one of the safest countries in Africa. There is very little to worry about besides getting pickpocketed in Gaborone, or attacked by a lion if you stray too far from your safari vehicle.